Howard Schatz’s professional life started with medicine. He was a world-renowned Clinical Professor of Ophthalmology at the University of California. His specialty was the retina of the eye. He wrote over a hundred peer-reviewed papers and seven textbooks in his field from 1970 through 1995 when he changed careers and began making photographs. I am a photographer, not an anthropologist, and my primary interest is in making images that reveal things in ways not seen before. The Folsom Street Fair assembles a demimonde at least as remarkable and irresistible (to the curious eye) as any gathering of humans, anywhere. We have long been fascinated by actors, by men and women who can call upon the alchemy that brings to life people who exist only as words on a page. Howard Schatz is easily described as one of the great if not the greatest photographers of the human form. His many books, “NudeBodyNude,” “Body Knots,” “Water Dance,” “Pool Light” and “Athlete” — which features 125 portraits of world class champion athletes — shows his scope and passion for photography. The list of Howard Schatz’s books he creates with his wife and partner Beverly Ornstein is impressive and diverse. No matter which one of their works you explore, the delight of seeing the work of truly inspired photographer and producer is, well, breathtaking. Schatz has an impressive advertising and editorial career that parallels his fine art photographic work. Sports Illustrated, Vogue, The New York Times Magazine, The New Yorker and Life have featured his editorial creations. He has produced advertising photos for Ralph Lauren, Escada, Nike, Reebok, Wolford, Sony, Mercedes-Benz and Etienne Angier. And these are just a few of his commercial clients. Howard Schatz and Beverly Orenstein are a team that produces photographic art at a prodigious volume. Treat your eyes. 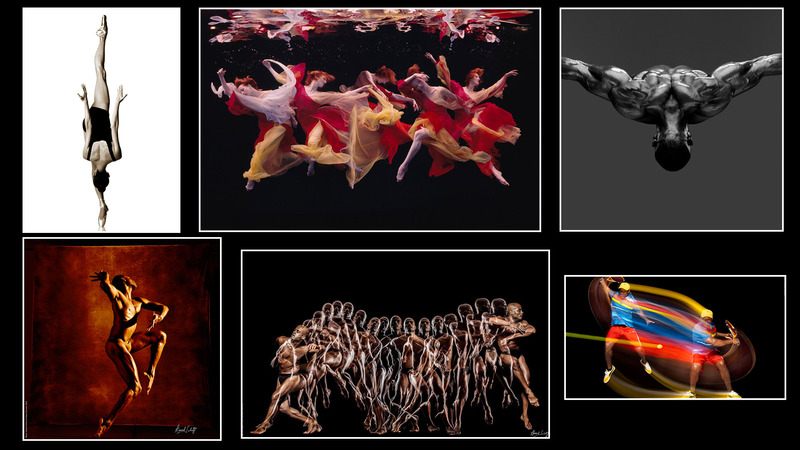 Go to his website and explore the worlds of Howard Schatz. Read other vignettes of influential photographers in On Photography.